Need A Getaway? Rent A House In Charleston, SC For A Weekend! Walk Away Stays offers the pinnacle of luxury with our Charleston, SC vacation rentals. If you’re looking for the perfect getaway, you’ve come to the right place to rent a house in Charleston, SC for a weekend. In addition to a full range of luxury properties, you’ll enjoy great amenities like the highest quality linens and towels, hotel style toiletries, and complimentary locally roasted coffee for your convenience. So kick off your shoes and enjoy the sweet southern charm of Charleston, SC in one of these idyllic properties! This beautiful one-bedroom carriage house has versatility on its side. It can function as the perfect couples’ retreat or as a four-person vacation house, offering one loft style bedroom with a queen size Charleston Rice Bed and a sleeper sofa in the living area. Two full baths—one attached to the bedroom and the other downstairs—ensure convenience for every guest. The living room has a flat screen TV with cable channels when you feel inclined to just put your feet up and lounge, or relax on the outdoor patio while sipping cocktails and soaking up the Charleston sun. With hardwood floors throughout, a fully equipped kitchen, washer and dryer, and one off-street parking space, this lovely property has everything you could possibly need for a wonderful weekend getaway. Tucked away on a pristine little side street, the sound of street traffic and passersby will never be an issue, yet you’ll still be only a block away from bustling upper King Street. The property itself is astounding. 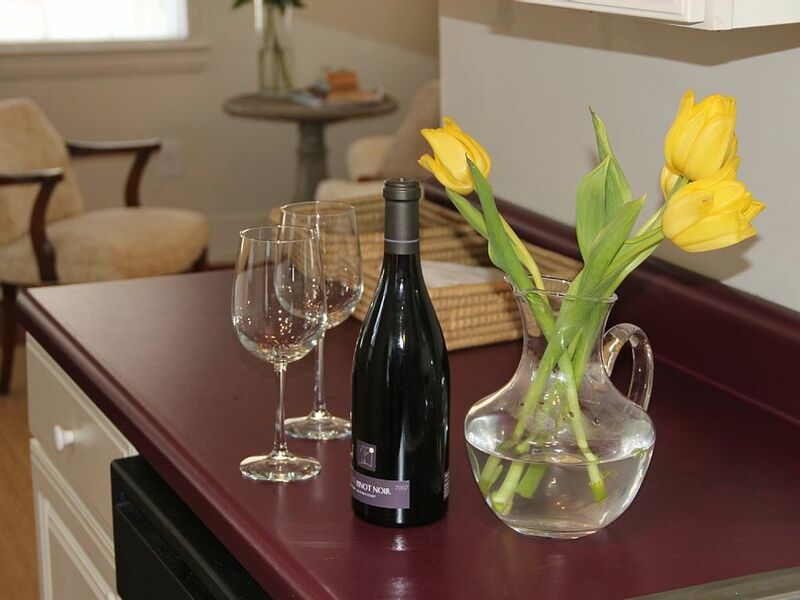 The first floor is spacious and elegantly designed with hardwood floors, stainless steel appliances, marble countertops, and a 61” flat screen TV in the living area that boasts comfy seating for all guests. The second floor has two bedrooms—one with a king bed and the other a queen—connected by a Jack and Jill full bath, and both rooms have access to a spacious covered patio. Finally, on the third floor, you’ll find the master bedroom with a king size bed, private bath, and a private balcony offering a gorgeous view of the neighborhood. Located in the heart of downtown, this three-bedroom, two and a half bath vacation home is the perfect spot to rent a house in Charleston, SC for the weekend. The first floor boasts a cozy living room with a large flat screen TV flowing nicely into the kitchen area that is fully equipped and loaded with counter space. Cooking up a big family dinner is never an issue! Next to the kitchen sits a large dining room table adjacent to a back patio that offers plenty of seating and a gas grill. 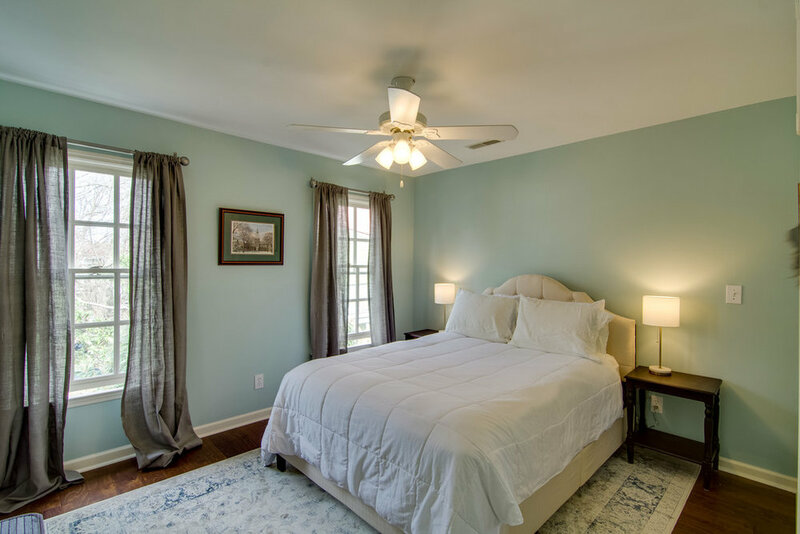 The second floor has all three bedrooms: a master bedroom with queen-size bed and private bath, a second bedroom with a queen bed, and a third with a day bed, perfect for kids. And don’t miss the covered second floor patio for an amazing relaxation spot! If you really want to get ensconced in old Charleston luxury, this is the place for you. Built in 1875, this two-bedroom, two and a half bath Charleston Kitchen House boasts locally made furniture—including a gorgeous dining room table—paired with upscale antiques and fine glassware and china. That’s not to say you’ll be without modern amenities. The living room has a large flat screen TV and sleeper sofa, and the gourmet kitchen has stainless steel appliances. Upstairs, you’ll find the bedrooms. 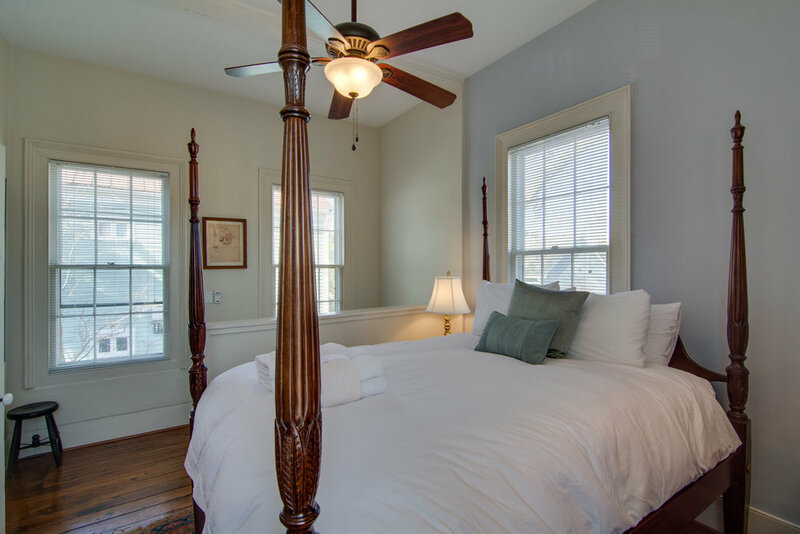 There’s a gorgeous master bedroom with a queen size bed and private bath featuring separate soaking tub and shower. The second bedroom also offers a queen size bed and private bath. There’s even a screened in porch for lounging or entertaining year round! So if you need a getaway, Walk Away Stays offers the most luxurious opportunities to rent a house in Charleston, SC for a weekend. Check out our full selection of Charleston properties and book today!